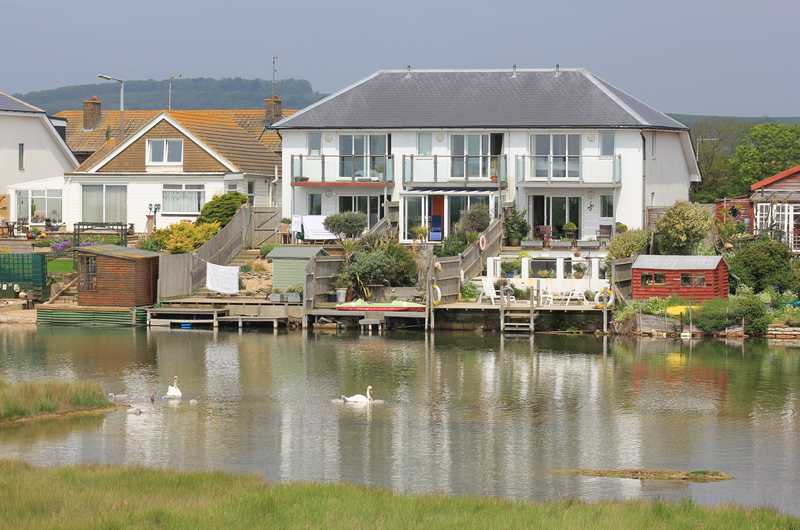 Sitting between Shoreham-by-Sea and South Lancing is the Widewater Lagoon Nature Reserve, a narrow stretch of water tucked behind Lancing Beach. 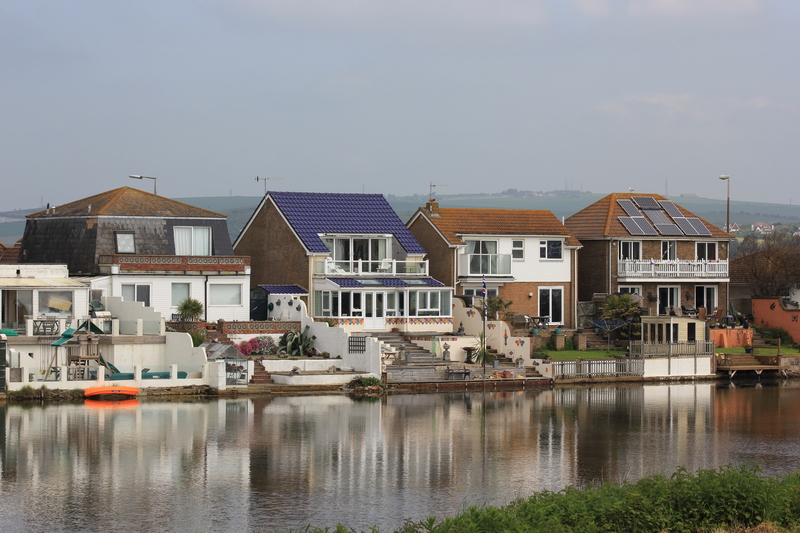 Lining the north side of the lagoon are houses which presumably sell on the basis of their views over the lagoon and beyond, to the vast horizon of the sea. There are various houses of various sizes round here, but a quick Google search suggests that you will need to spend the best part of £500,000 for these views. 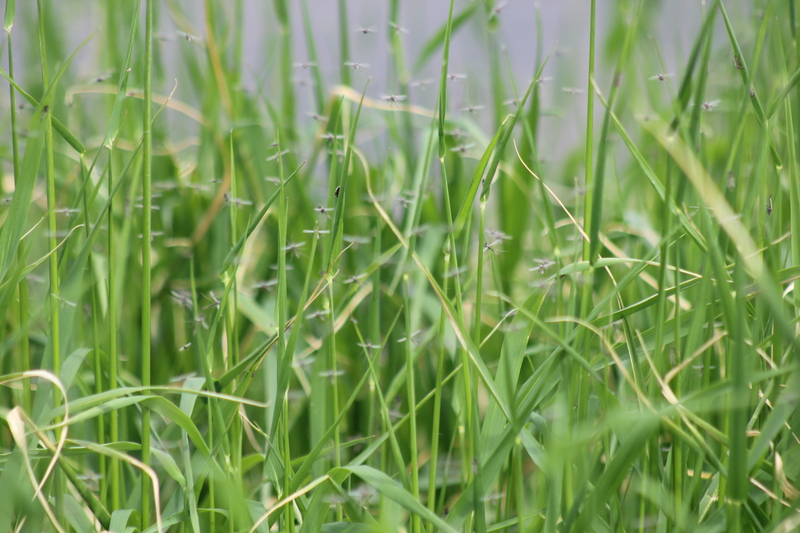 On the south side of the lagoon was a thin stretch of tall grass and other assorted wild plants. As we walked alongside we saw thousands of tiny flies buzzing around. I wonder how troublesome these are in the height of summer? All of a sudden, living in these houses didn’t necessarily seem such a pleasant prospect after all! There again, swans and their offspring glided gently along the water’s edge, giving a peaceful and lazy feel to the day. Many parts of the lagoon are beautiful. If the constant buzzing of the flies was not enough for you, there was also the constant buzzing from Shoreham Airport, situated just to the north. Shoreham Airport opened in 1910. On 4 July 1911, it achieved the accolade of being the starting point of the first ever recorded cargo flight: a box of light bulbs was flown to nearby Hove. This is rather an inconspicuous start to the fleets of cargo aircraft flying in and out of airports all over the world today. 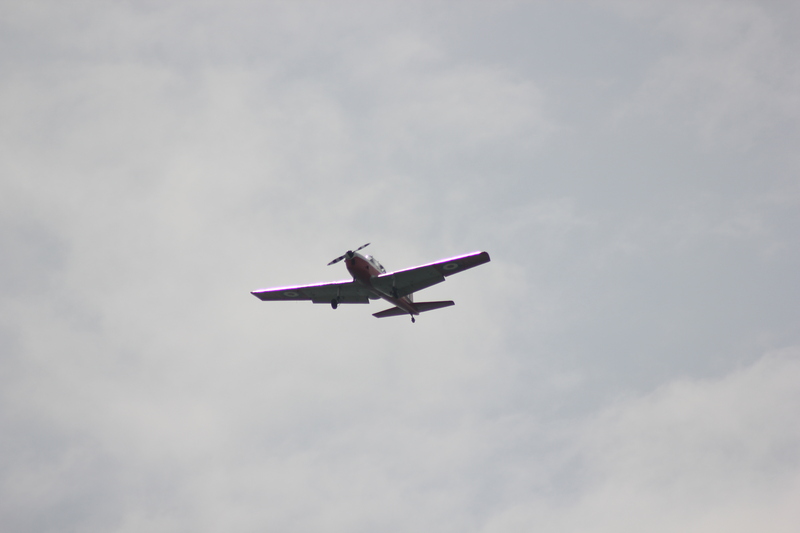 We saw no cargo aircraft today, though we did see a constant stream of light aircraft flying in to land one by one. G-BNEL, a Piper, was clearly a trainer. It flew in to land with incredible regularity; presumably doing rolling touchdowns and then taking off again for another circuit. This next aircraft, a De Havilland Chipmunk, was my favourite of the day – look how the sun glinted off the leading edge of the wings as it came in to land! 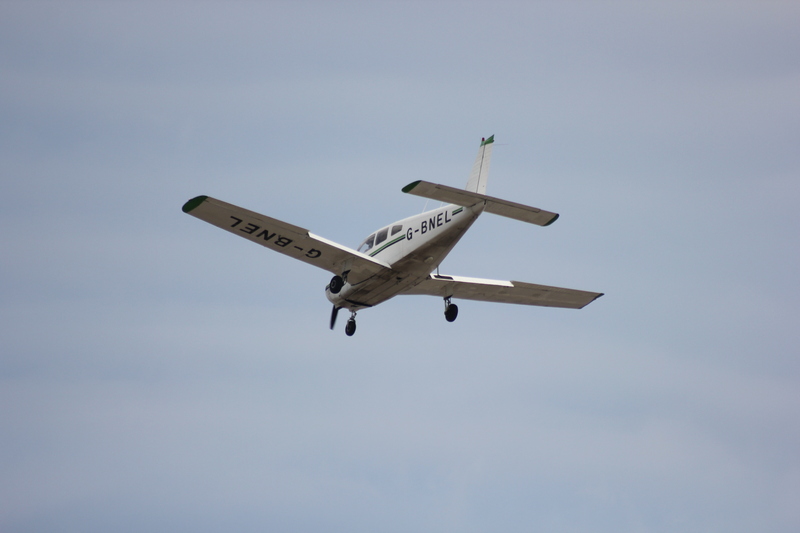 This entry was posted in West Sussex and tagged aircraft, airport, coast, flies, lagoon, lancing, shoreham, travel, walking, west sussex. Bookmark the permalink. I’m really enjoying your blog – partly because I am familiar with the territory, partly because of the pics and stats (!) and partly because it is such a great family thing to be doing. Hope the children see it the same way! Thank you! Yes, the children enjoy the walks and generally look forward to them. It’s most noticeable when we haven’t been for a while because they (like all of us) realise they miss them. I know this because as I write we are about to leave for Stage 56, having not walked for two months – we really want to get back on the Path.